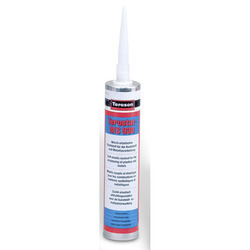 We are a leading Wholesale Distributor of terostat ms 930 adhesive sealants, terostat 8590 adhesives, terostat ms 935 adhesive, terostat ms 931 adhesive, terostat ms 939 and terostat ms 939 fr adhesive from Pune, India. 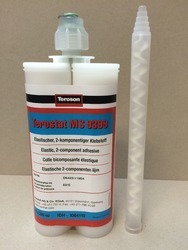 With the thorough knowledge of the varied aspects of the market, we have been able to provide the customers with an exclusive range of Terostat MS 930. The offered range serves as a one component silane modified polymer, which is free of solvents, isocyanate, silicones and PVC. Odorless in nature, the product is known to perform cure, in reaction with moisture. Also, the product is compatible with suitable paints and demonstrates excellent adhesive properties. Carving a niche for the organization, we are engaged in bringing forth the clients a comprehensive assortment of Terostat 8590. Developed as per the international quality standards, the range is widely appreciated by the clients for its compatibility, excellent bonding, high strength and elasticity. Ideally applicable for filling the gaps between the bondings of the substances, the range can also be availed in customized specifications depending up on the requirement of the customers. 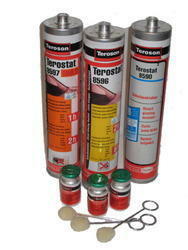 We hold immense expertise in providing the customers with a commendable assortment of Terostat MS 935 Adhesives. Odorlessin nature, the offered range serves as a one component silane modified polymer, which is free of solvents, iisocyanate silicone and PVC. Developed as per the international quality standards, the product is compatible with suitable paints and demonstrates excellent adhesive properties along with high strength and elasticity. 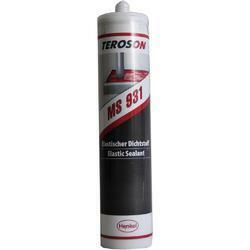 With the aid of modern tools and sophisticated technology, we have been able to cater to the diverse requirements of the customers by providing them with a broad array of Terostat MS 931 Adhesives. Applied by pouring and extruding, the range cures the skin in reaction with the moisture to a soft elastic product. Free from solvents, isocyanate, silicones and PVC, the range possesses good UV resistance and hence can be used for both interior & exterior applications. Depth of cure after 24 h 3 mm. Skin formation time: 10 min. Skin formation time: 20 min. 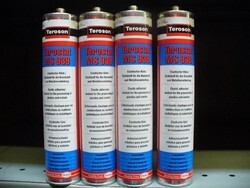 Terostat MS 9399 Adhesive - MS Polymer, Elastic sealing, Two component rapid cure. 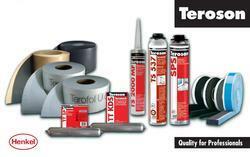 Our company has gained name and fame for offering Henkel Teroson to the clients. This product is tested for quality in results at our technologically advanced laboratories before being delivered to our valuable clients. Henkel Teroson is carefully processed by our skilled professionals as per industrial standards using the finest quality of raw material and with the aid of contemporary techniques. Offered range is available in various quality packaging as per client’s requirements to attain customer satisfaction. 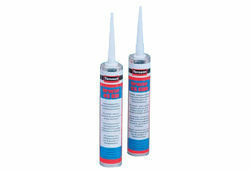 Looking for Henkel Terostat Adhesive ?